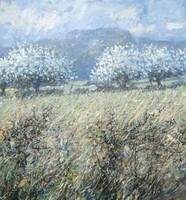 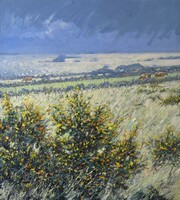 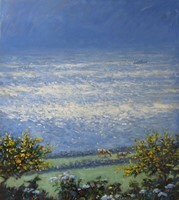 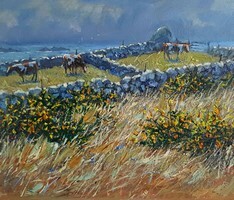 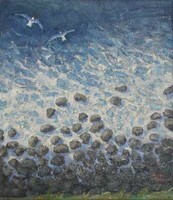 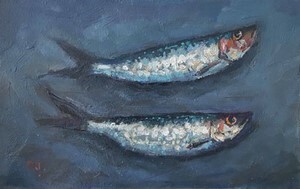 Robert Jones, a name familiar to many collectors of Cornish Art, is best known for his dramatic paintings of the spectacular Cornish coastline. 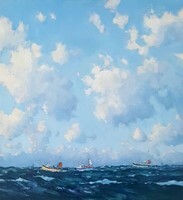 The depiction of the sea and its ever changing mood with the fleeting effects of light and weather on the water are recurrent themes. 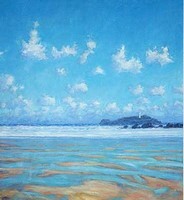 A native Cornishman who has lived by the sea all his life he relates to his subject more intimately than most. 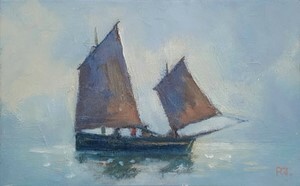 His life experiences have contributed to his personal identification with the sea. 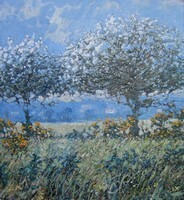 Transience, growth and change attract him, he prefers to paint subjects that will not remain the same for long. 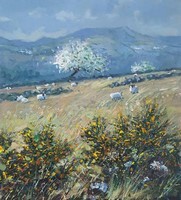 Whatever Robert is painting be it sea or sky, a tree or a gorse hedge, he is sensitive to the life force which surges through every living thing, and through himself as the painter.